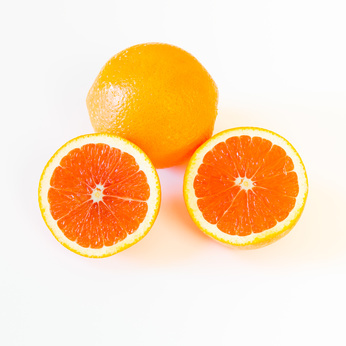 What are Cara Cara Oranges? This week we are featuring the Emerald City Kraut from Firefly Kitchens: Bright coriander paired with a dash of dill and turmeric — citrus meets pickle! Delicious with tuna, salmon, sandwiches or salads. Dinah’s is a farmstead cheese made on Vashon Island from the milk produced on their farm. It’s a bloomy-rind cheese, resembling a traditional French Camembert. The fatty, Jersey milk gives it a deep golden color, and when fully ripe will be gooey and full flavored. If you’ve never tried it, it’s a real treat. If you would like to know more specifically where a particular item is grown, just send us an email and we will be happy to provide more regional details. As promised, your first peak at some of our recommendations for a deliciously local labor day meal. 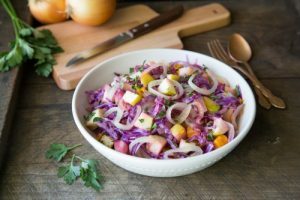 We were inspired by this Red Cabbage Salad with Apricots, by the National Onion Society (yes, that’s a thing). We loved the idea of putting our delicious apricots to good use, but wanted to take advantage of the lovely zucchini we’ve had recently. Heat oil in a large sauté pan, add onions and stir well. Cook 8-10 minutes on medium-high heat. Add zucchini, apples, apricots, salt and pepper. Cook 3-4 minutes. 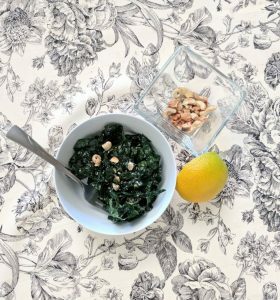 Meanwhile, place shredded kale in a ceramic or wooden bowl and douse with citrus and balsalmic vineger of choice (we love oranges for this). Let sit, covered, so the kale begins to blanch. Add vegetable broth and caraway seeds to pan with zucchini mixture. Stir to mix all ingredients. Cover and reduce heat to medium-low. Cook an additional 10-12 minutes, stirring occasionally. Before serving, stir in parsley and orange zest and keep warm. Bored with your everyday oatmeal or eggs and bacon breakfast? We were too, so we popped over to Foodgawker in hopes of something different, ideally using produce we already had in the fridge. Enter Shakshuka, a Moroccan plant-based dish that packs kick-in-the-pants flavor in under 10 minutes to make. Heat oil in a saucepan over medium heat. Dice onions and scapes, and add to pan. Slice tomatos and lay out on pan. Pour tomato sauce over and add cumin, chili powder and salt & pepper to taste. Heat 2-3 minutes, add mozarella slices and crack eggs over the top. Cook, stirring sauce regularly until eggs are the desired consistency. Enjoy your extremely delicious, organic breakfast. Meatless Monday is a movement that’s gained a lot of popularity over that last few years, and for good reason. By abstaining from meat for just one day out of the week, we lower the risk of cardiovascular disease, diabetes and many other illnesses, save a few dollars and reduce the harsh impact the meat industry puts on our environment. On larger scales, such as University cafeterias and military bases, this single-day movement can make a huge difference. While we love a good steak, we’re giving it a try and we want you to join us! We had a full stock of veggies perfect for these meatless mexican lettuce wraps, but if that’s not your thing, Eating Well has a full list of yummy meatless meals. Clean and dry lettuce leaves and all other produce. This is particularly crucial with leaf veggies as small critters can be nesting in the head of your lettuce. In a rice cooker or pot, bring quinoa to boil then let simmer about 15-20 minutes. In a saucepan, melt ghee over medium heat. Dice onions, peppers, garlic scapes and jalepeno and add to pan, along with corn. When veggies are softened, add in spinach, salt, cilanto and hot sauce. Let simmer for another 2-5 minutes until spinach has blanched. Scoop spoonfuls of veggies onto lettuce wrap with a dollup of beans and sour cream, and a spritz of lime. Top with quinoa and enjoy! If your lettuce wrap breaks, you can always shred the remaining lettuce and eat as a taco salad as well. It’s getting hot Seattlites, and standing over a hot stove is just not an option when it’s pushing 90° outside. One of our go-to summer meals is a quick slaw using organic veggies and fresh lime. The best part about this recipe is that you don’t have to follow it precisely (ha!). While broccoli and carrots are pretty standard in most slaws, feel free to add whatever vegetables you have in the fridge to add flavor and variety to your meal in 10 minutes or less. Kelley wasn’t the first one to snag a bite of this before heading out to deliver your bins this week! 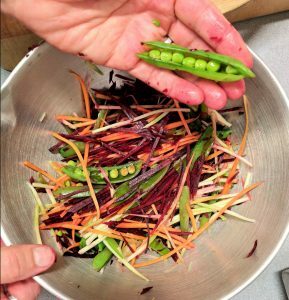 Shred and combine broccoli stems, beets and carrot in a bowl with a mandoline or other slicer, enough to cut thin slices, not unlike zoodles. Split snap peas down the center, add to bowl. 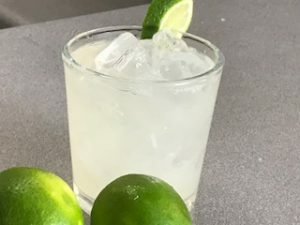 Squeeze a half lime into mixture, your dressing, and sprinkle with salt flakes (or regular salt if you don’t have flakes on hand). It’s time! More and more local fruits and vegetables are rolling in this month, and we couldn’t be happier to reconnect with our Washington farms. On another happy note, a recent report by the USDA (United States Department of Agriculture) found a 13% increase in certified organic operations. With 24,650 organic farms and organizations, the organic farming sector is one of the fastest growing in the country! 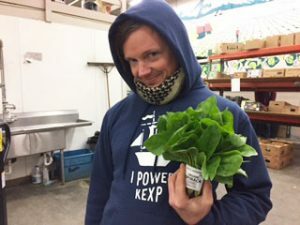 This is beneficial not only for our own health and diet, but as a next step in creating a more sustainable, environmentally-conscious farming system for the future. The USDA also announced 47 new grants, providing $17.5 million for “research projects to improve sustainable agriculture in rural communities”. These grants will catalyze new growth and discoveries in organic farming, and we’re so excited to see the growth of organic produce in homes. This year, organic demand is expected to hit 5% of the market share, which sounds small but is a giant stride for the industry. 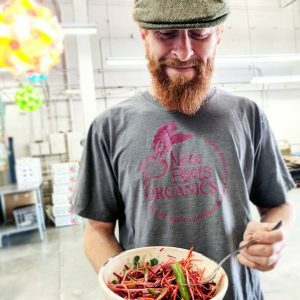 On top of all of this fantastic industry news, professional baseball player Jayson Werth recently made a speech detailing how he turned his traditional family farm into an organic sustainable enterprise. From our family to yours, we hope you all have a fabulous Memorial Day Weekend. Rather than choose just one delicious recipe to share this week, take a glance (or several) at these amazing healthy recipe ideas for every meal this Memorial Day Weekend! We made it through another week, and it looks like we may even see some sun this weekend (knock on wood!). 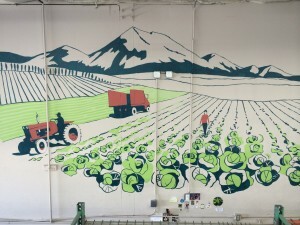 Next week we are receiving first of the season spring Onions from Alvarez Farm (their farm is in Yakima, where it’s a little warmer). Until then, we’re enjoying the local spinach, spring onions, and asparagus! Spinach is full of healthy nutrients and you can put it in a variety of dishes, including almost any pasta dish, casserole or stir-fry. Along with it’s ample stores of vitamins and antioxidants, spinach can assist in better eye health, cancer prevention and lowered blood pressure. The quickest way to cook spinach solo is to saute it in a pan, but keep in mind if you are including spinach in a stir-fry, it takes less time to cook than some thicker vegetables such as carrots. 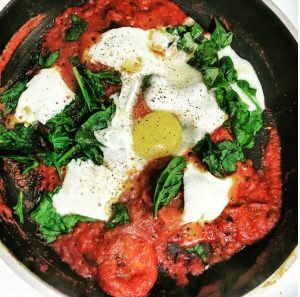 Here are eleven meal ideas you can add spinach to! 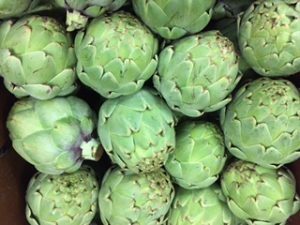 We have gorgeous local spinach and artichokes this week, which means making spinach artichoke dip is a must. We really love this recipe, and it’s the self-proclaimed “Best Spinach Artichoke Dip”, so we think you’ll enjoy it as well. Keep an eye on our blog next week as we’ll have an update on local agriculture and some delicious ideas for Memorial Day. Happy Monday everyone, and Happy Mother’s Day to all of our New Root’s moms out there! Have you ever tried a recipe from your mother, following it to the letter, and yet it just wasn’t as perfect as hers? That used to happen to me all the time, and I pestered her about it, certain there was a secret ingredient I was missing. I’ve noticed that lots of people consider recipes more as guidelines than instructions, adding in an extra pinch of this or a dollop of that until it taste just right. Understanding the basic chemistry of cooking definitely helps lower the chance of a stovetop disaster, but experimenting and tweaking provides an internal understanding of how flavors can weave together. This intuition, while infuriating for a beginner, is what makes a meal your own. I love putting together my organic produce in new and creative ways to keep dinners fun, easy and most importantly, delicious. If you’ve followed us for a while, you probably know that we send recipes in our newsletter. 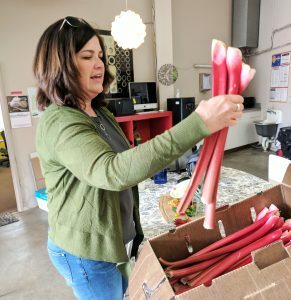 Now we’ll also be including helpful produce news and recipes on our blog using ingredients that are in our bins each week. 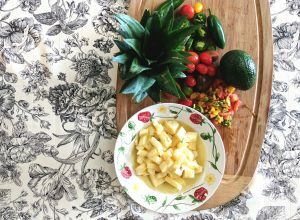 If there’s a particular vegetable or fruit that stumps you, comment here, post on our Facebook or email us, and we’ll suggest recipes for you here on the blog. This week is forcasted for 75 degrees and sunny, so we took it upon ourselves to suggest a yummy dessert you can make for the weekend. This old-fashioned style Strawberry Rhubarb Crisp is scrumptious, but we challenge you to experiment with your own ingredients and flavors to make it your own. There’s even a paleo option over at Bakerita! 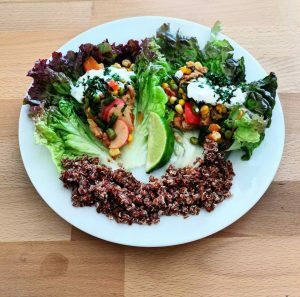 We love seeing how you turn our organic produce into beautiful meals, so please feel free to tag us on Facebook or Instagram. 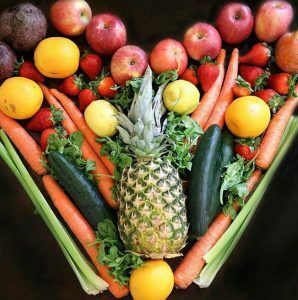 We have major heart eyes for this photo taken by New Root’s customer Joel last week, promoting a heart healthy diet! In a bowl, toss the rhubarb with 3/4 cup of the sugar and let stand for 15 minutes, stirring occasionally. In another bowl, toss the strawberries with the remaining 1/2 cup sugar and let stand for 10 minutes, stirring occasionally. 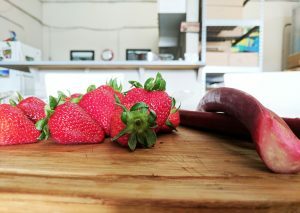 Using a slotted spoon, transfer the rhubarb to the strawberries; discard any rhubarb juice. Add the cornstarch, lemon juice and vanilla to the fruit and stir well. Transfer the mixture to a 9-by-13-inch glass baking dish. Combine all of the ingredients in a medium bowl. Using a pastry blender or your fingers, mix the ingredients together until large crumbs form. Sprinkle the topping evenly over the filling and bake for 30 minutes. Reduce the oven temperature to 325 and continue baking for about 30 minutes longer, until the fruit filling is bubbling and the topping is nicely browned. Let the crisp rest for 10 to 20 minutes before serving. Mix the shallots, green bell pepper, red bell pepper, pineapple, cherry tomatoes, jalepeno pepper, garlic, cilantro, cumin, and lime juice together in a bowl; refrigerate at least 2 hours before serving. Optional: Rub the rim of your glass with a blood orange slice. Dip the rim in sea salt, we recommend Pink Himalayan salt. Pour into salted glass and enjoy. Shake with ice and serve! Equal parts sugar and water, heated until sugar is dissolved- add orange peel and let steep until cool. Transfer to easy pour bottle of your choice! Hope you’re having a great Friday so far! We know everyone is excited to get to their weekend, so let’s keep this short and sweet. First we want to say thank you, because with your help, we raised $850 for fresh fruit that will go in the Food Bank Kids’ Packs. This is a huge help, and we all know how important a healthy diet is to children’s development, so give yourselves a round of applause. 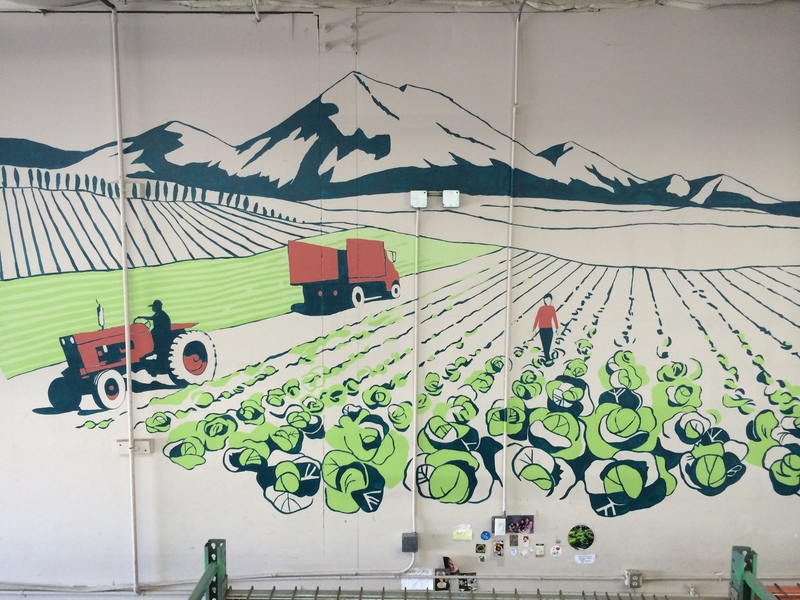 We also wanted to show you our newest addition to the New Roots facility, a beautiful mural created by the very first NRO employee, Jared DelDeo. 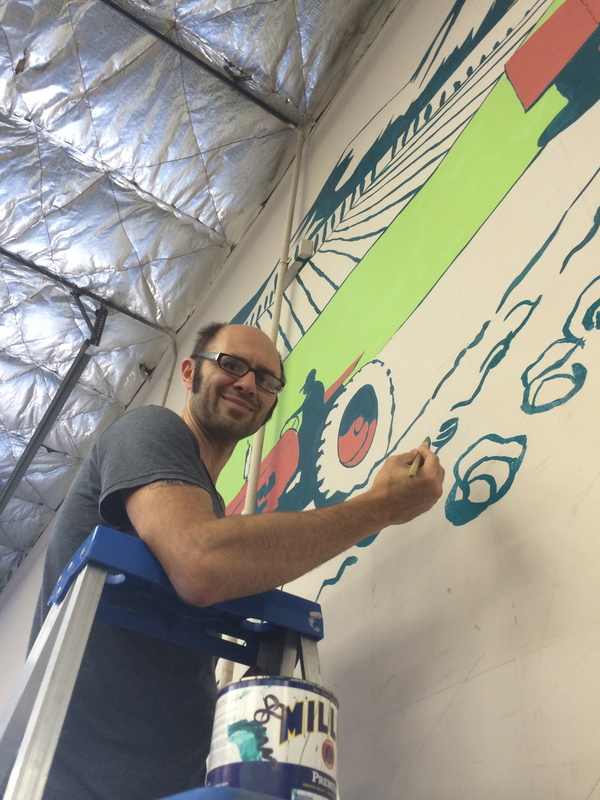 Jared now resides in Portsmouth, NH, but he came back for a visit and left this new addition behind our assembly line. Warm days and warm nights are bringing on the late summer produce early and the quality has been fantastic! Eggplant, peppers, tomatoes, melons are all here. Soon, we’ll have local corn and larger tomatoes too 🙂 If you haven’t tried our medium-bodied New Roots Blend or Back Pedal coffee, they also make for a wonderful iced coffee during the warm weather. 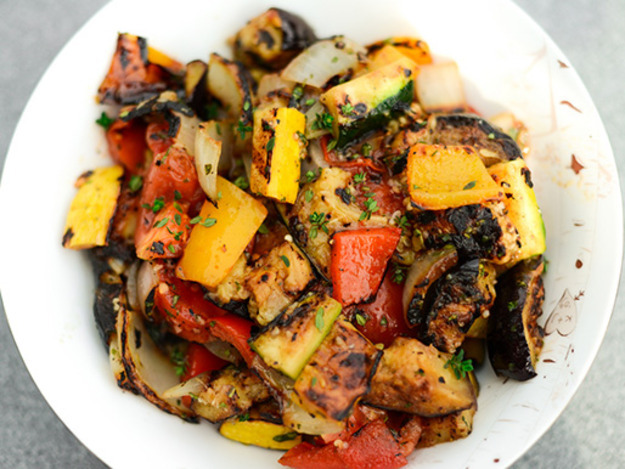 We’ve got some delicious looking eggplant, banana sweet peppers, and more cherry tomatoes to come, so why not try this Eggplant Ratatouille recipe by Serious Eats? Hi there! 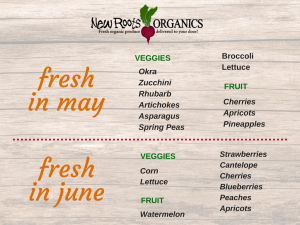 New Roots Organics is an organic produce delivery service located in Seattle. 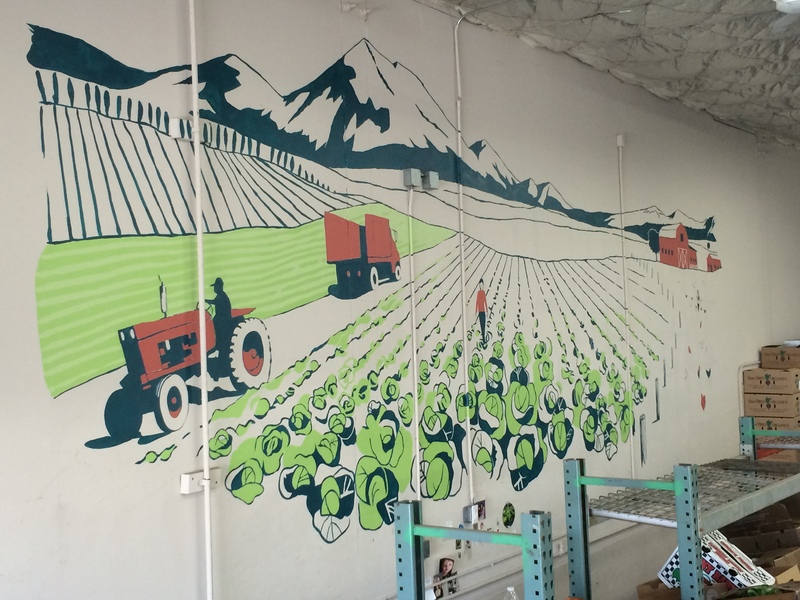 We deliver fresh, delicious, local, organic produce to your door!